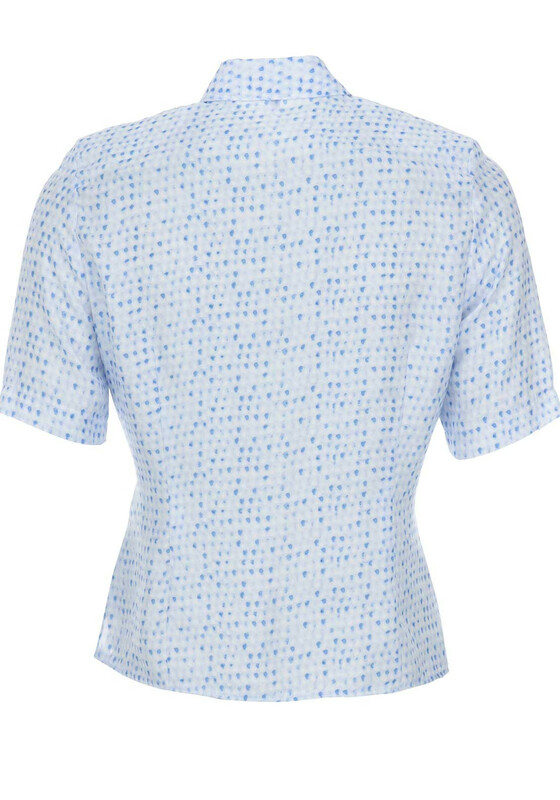 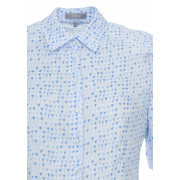 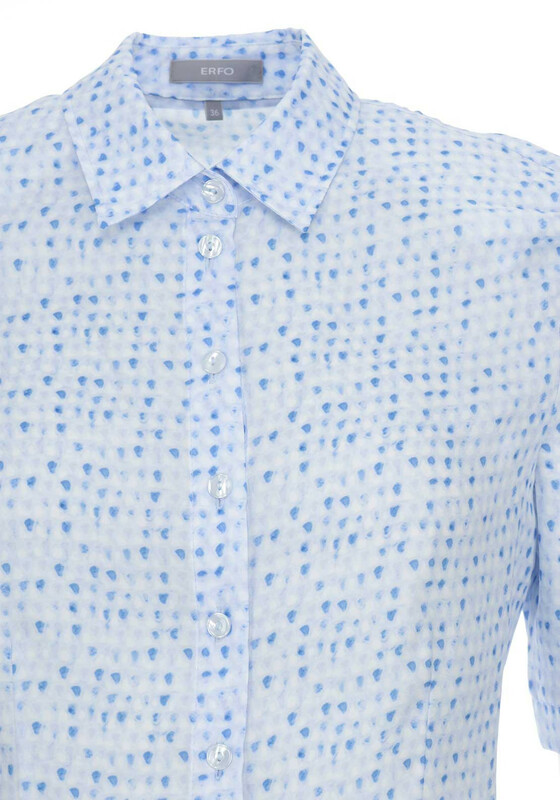 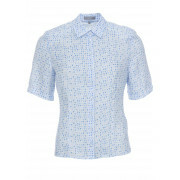 Update your wardrobe separates with this charming blue blouse which would be a smart choice for work or play. 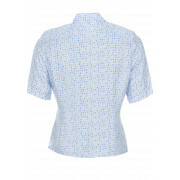 Designed by ERFO with a figure skimming shape and short sleeves. 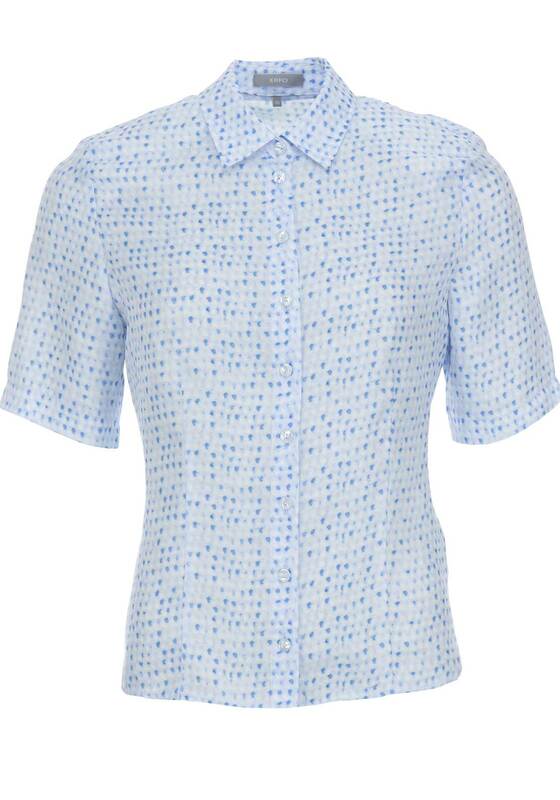 Crafted from lightweight fabric with an all-over print and silky finish.